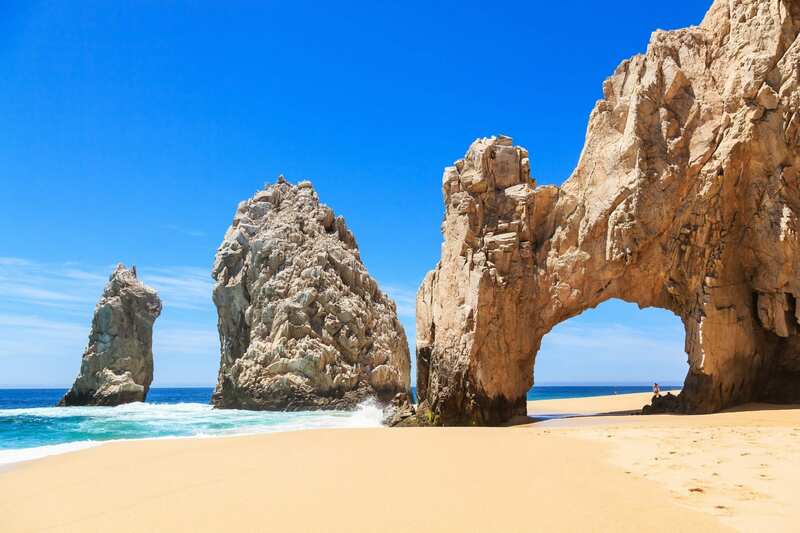 Cabo San Lucas is located on the southern tip of Mexico’s Baja California peninsula, where the Sea of Cortez meets the Pacific Ocean. Enjoy the breathtaking sites, relaxing atmosphere, and exciting nightlife! Take a glass bottom boat ride to the famous rock formation- El Arco, where it is not unusual to see a family of seals lounging in the sun. Make sure you bring your golf clubs! Cabo boasts four, world class, 18 hole golf courses. Cabo is known for having an abundant marine life, so make sure you deep sea fish for Marlin, or take a whale watching tour! There are two towns in the area that have amazing night life, restaurants, stores, and open air-markets!